What is an interdisciplinary approach? It is the process of learning by doing and reflecting. It is learning through experiences. How can experiential learning benefit my child? A more hands-on approach that allows the child to have first-hand experiences with the materials. Children are then encouraged to reflect on what they are experiencing, asking “why?” and “how” as they discover answers for themselves. Rather than relying solely on worksheets or workbooks, children learn through engaging projects featuring hands-on exploration. Comprehension and retention improve as children learn in a way that is more interesting and engaging to them. A learning style which has been studied thoroughly for decades and proven to be beneficial, especially for young children. 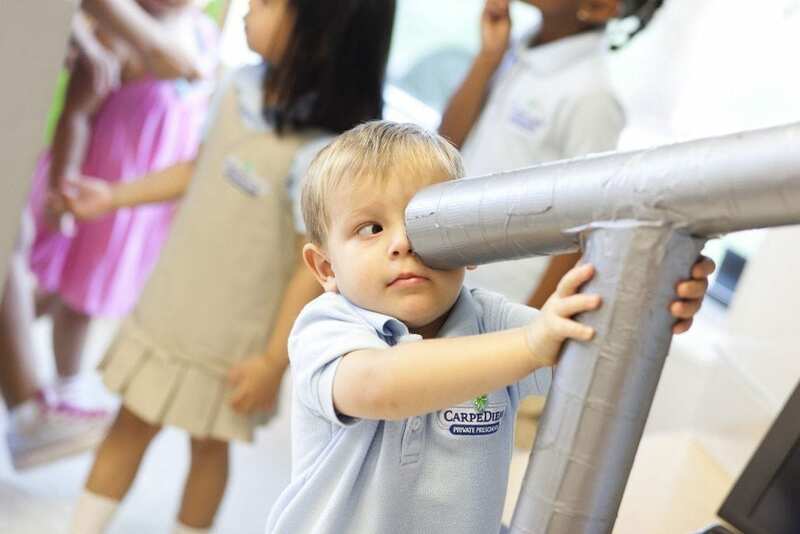 At Carpe Diem Preschools, our experienced educators combine experiential learning with an interdisciplinary approach to maximize each child’s true learning potential. Many preschool classrooms focus on just one or two areas, rather than providing children the opportunity to engage in interdisciplinary learning. Using research-based and classroom-tested foundations in literacy, science, social-emotional, and mathematics learning, our educators weave together all four domains to ensure that each subject is addressed meaningfully with each child. Math and science are often scarce in preschools. Unlike other preschool and daycare programs that focus on literacy and social-emotional development, our interdisciplinary approach begins with engaging math and science topics, and integrates language, literacy, and social-emotional skills as natural components of each lesson. This STEM-based approach is proven to be highly effective, tapping into a child’s natural desire to touch, smell, and explore – helping them discover joy in learning and greater success across all subject areas. We value enrichment opportunities as powerful tools in helping children develop into well-rounded individuals. Unlike many schools, we have dedicated experts teaching Spanish and music education to our students daily beginning in preschool. For infants and toddlers, we utilize Joseph Garcia’s sign language curriculum with amazing success. These ongoing enrichment opportunities are included in each child’s tuition to enhance communication and cognitive skills, and expand abilities in other academic areas. Children learn number concepts best by manipulating and counting real objects, rather than simply completing worksheets. Our students are more engaged because we present concepts in a way that is interesting to them, allowing them to learn by doing rather than learning solely by hearing and reading. They learn while working toward larger, exciting goals, such as playing a coral-reef scavenger hunt or converting their classroom into a museum. High-interest learning centers and hands-on exploration support and extend children’s growing understandings in social-emotional skills, science, literacy, and mathematics. It is amazing what children can achieve when exposed to new things in interactive, interesting ways. Rooted in best practices, our curriculum is designed to trust and challenge children’s capabilities. Our low student-teacher ratios allow our educators time to get to know each student, developing trusting relationships that help them motivate and inspire each one to his or her ultimate learning potential. Studies show that the brain relies heavily on body movement, hands-on exploration and gross motor skills to fuel cognitive development. Exploration through purposeful, project-based play and movement gets the brain going! This is why learning is often most effective for children when presented in a way that is hands-on and interesting to them. We believe that learning can and should be joyful, involving both structure AND exploration, teacher guidance AND child discovery, laughter AND accelerated academics. Children have the stamina to engage with challenging concepts when they are able to ‘play’ with ideas and manipulate learning materials with their hands. When content is linked to children’s interests, they cannot wait to come learn, discover, and grow. With indoor activity rooms, children have continued opportunities for exercise and movement regardless of the weather. Our programs also include character-building activities that teach the importance of fairness, integrity, and honesty. This approach helps us develop young leaders who think more creatively and develop problem-solving abilities. Rooted in research about the benefits of learning outside for young children, our program includes outdoor gardening and exploration. Why does going outside matter? Studies show that children are highly engaged when doing things outside with their hands. Unfortunately, many children today have a lack of outdoor time with a shift to screen time. 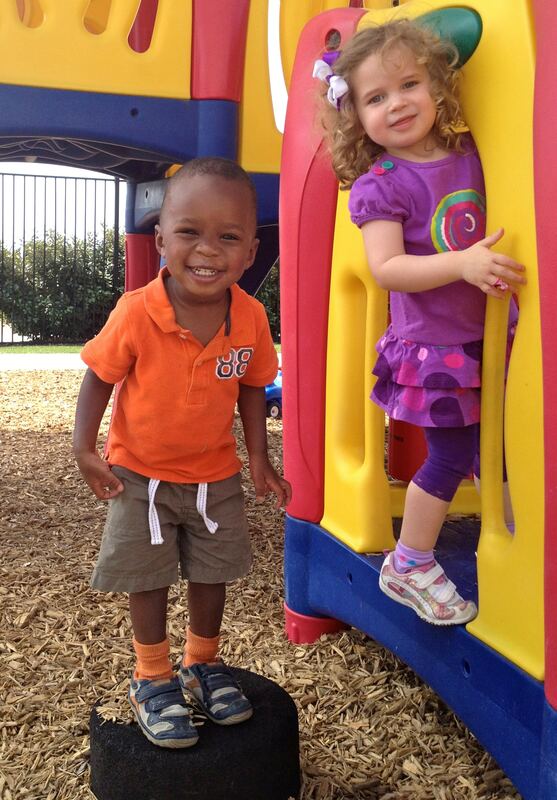 At Carpe Diem Preschools, we get students moving while also learning about the beauty and wonder of nature. Carpe Diem teachers take a hands-on approach to implementing a curriculum appropriate to your child’s development. Our teachers maintain ongoing assessments of their progress, and consistently observe and document what students do and how they do it. Everything is done with realistic, attainable objectives, so teachers can plan meaningful activities and inform parents about their children’s progress along the way. Parents can access specific monthly and weekly curriculum information for each class online through our Parents’ Resource Center. Setting limits encourages good choices. Redirection, and active problem solving, as well as the use of natural and logical consequences, all contribute to teaching children self-control, cooperation and accountability that they will carry with them throughout life. Children learn best when their physical needs are met, and they feel psychologically safe and secure. Children construct their own knowledge through repeated social interaction with adults and other children, or through physical experiences with objects. Children learn best through experimentation and purposeful play, which motivates their interests and curiosity. The United States falls below other developed countries in literacy, math and science proficiency. At Carpe Diem Preschools, we are working to close the educational gap, providing curriculum that connects with children’s eagerness and readiness to learn, and maximizes this window of opportunity during the early years to spark a love for learning that will last a lifetime! Learn more about what makes Carpe Diem Preschools unique.